A report on Wednesday reinforced evidence that the next major version of macOS will have standalone Music, Podcasts, and TV apps, also giving a glimpse at new icons. Apple has tweaked the "Browse" tab of Apple Music on iTunes and iOS, providing users easy access to the "Daily Top 100" playlists. Long-time magnetic storage and electronics maker Maxell on Friday launched a lawsuit against Apple, accusing it of violating 10 U.S. patents, some of them inherited from Hitachi. On Friday, Democratic Senator and 2020 presidential candidate Elizabeth Warren advocated for breaking up major tech companies with large services, specifically naming Amazon, Facebook, and Google -- but Apple fits in the targeted category as well. The appearance of a pirated 4K-resolution version of the movie "Aquaman" on torrent sites is suspected to have been acquired from the iTunes store, which if true is a sign that someone has found a way around Apple's copyright protection measures. Apple has contacted the makers of podcasts hosted on iTunes and details how they should write the metadata that details the show, episode and so on, with the biggest changes forbidding podcast show names in titles as well as banning episode numbers. Apple on Friday confirmed that some people are encountering problems reaching the App Store, Apple Music, and iTunes if they're using an iPhone or iPad with iOS 11. Apple appears to be one of the companies vying to pick up Bad Robot, the production studio founded by Star Trek, Star Wars, and Lost director J.J. Abrams. 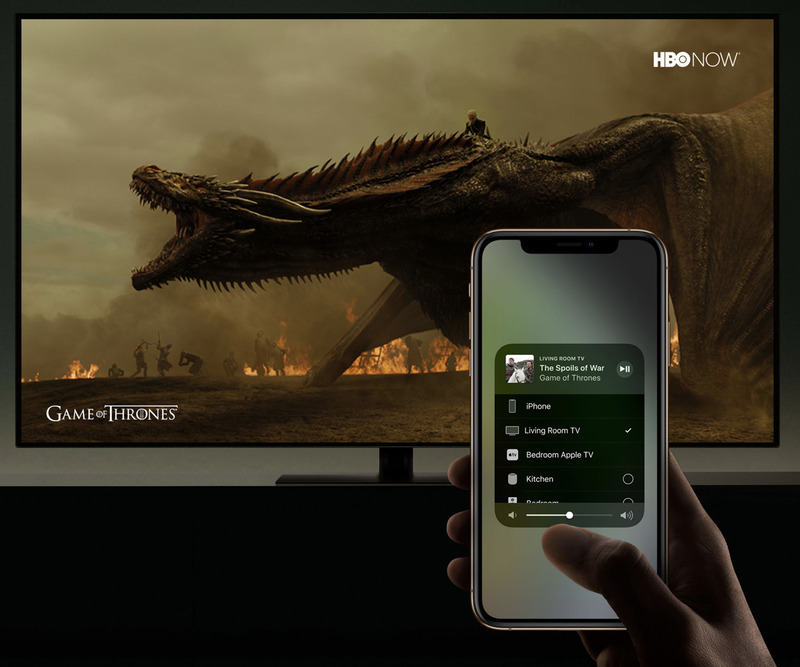 Apple stole the limelight at CES without even appearing as an exhibitor, thanks to a series of announcements from Samsung and a series of other television makers incorporating Apple's AirPlay 2 wireless streaming in their products, including LG, Sony and Vizio. This news was cynically portrayed as a "strategy reversal" and a new effort at "copying Microsoft" by the Wall Street Journal -- and out here in the real world, it is nothing of the sort. Apple is providing fans of the rock group Queen a look behind the scenes of the popular biopic "Bohemian Rhapsody," with an exclusive premiere video in iTunes showing how actor Rami Malek transformed into the band's iconic frontman Freddie Mercury. In what appears to be a response to a host of sexual assault allegations against hip-hop star R. Kelly, Lady Gaga this week pulled a collaborative track with the artist from Apple's content distribution services. Apple on Monday announced a change in billing policy that will require Canadian users to pay taxes on TV, movie, music and audiobook purchases, bringing the tech giant in line with recently adopted tax laws. Joining some other prominent companies, video streaming service Netflix is no longer allowing new customers to subscribe via iTunes -- that is, by way of an in-app purchase on their iPhone or iPad. You're only going away for Christmas, it's not completely as if you're going into battle. Take a few steps now to make sure that you're going to be able to keep working with your hardware if you need to -- and will have some entertainment to enjoy if you don't. A program where Apple was giving a 10 percent bonus on adding funds to an Apple ID account has not just been extended through Christmas Eve, but has been opened to more countries as well.